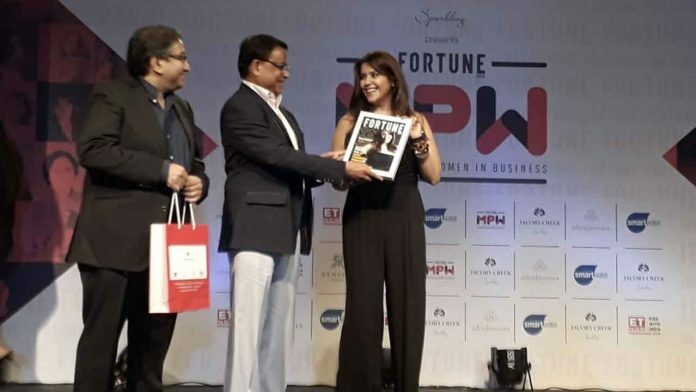 Content visionary Ekta Kapoor was felicitated at Fortune India’s 50 Most Powerful Women in Business event held last evening. The Filmmaker was honoured to be in the August company of India’s most powerful women list. Overwhelmed Ekta took to her Instagram sharing, “Thanku @fortunemag for including me in ur esteemed list of #indiasmostpowerfulwomeninbusiness ! Honoured to be in the August company of these stellar women”. Hailed to be the TRP Queen and the pioneer of daily soap entertainment, Ekta Kapoor solely changed the face of Indian TV. After conquering TV, the content visionary is leaving impressive imprints on the cine-goers and digital viewers. The latest domain being the Digital platform, Ekta Kapoor spoke at length about her thoughts on how she is attracting viewers for the latest medium. Ekta has tailor-made content for the online audience. She has her own digital video streaming service where she brings in content for the younger generation who prefer watching content on their phones. Ekta Kapoor is currently mastering various mediums as she basks in the glory of her web series Home, gears up for the much loved and anticipated reboot of Kasautii Zindagii Kay and also is busy with her upcoming feature films ‘Mental Hai Kya’ and ‘Jabariya Jodi’.